I am so excited to have been given the opportunity to read some new releases due out this month. Sometimes I have to pinch myself that publishers have sent me these books via NetGalley. And of course, for me, it comes in massive waves. So for this month I have these four beauties that I can’t wait to sink my teeth into. I am already engrossed with one and it’s great so far. Not just any four books, but ones that I have been wanting to read for a while. Ones that keep whispering in my ear. Ones I keep hearing readers gush about on blogs and on bookish sites. Ones that have been deemed some of the best books of all time. Ones that are no less than 500 pages!! And as I pulled into the drive-thru at the library, the librarian teller handed me those four monstrous novels with a snarky, doubtful look in her eye. Well, I’m up for the challenge sister. Bring all eight on! Now I gotta check out for a while and curl up with a good book! 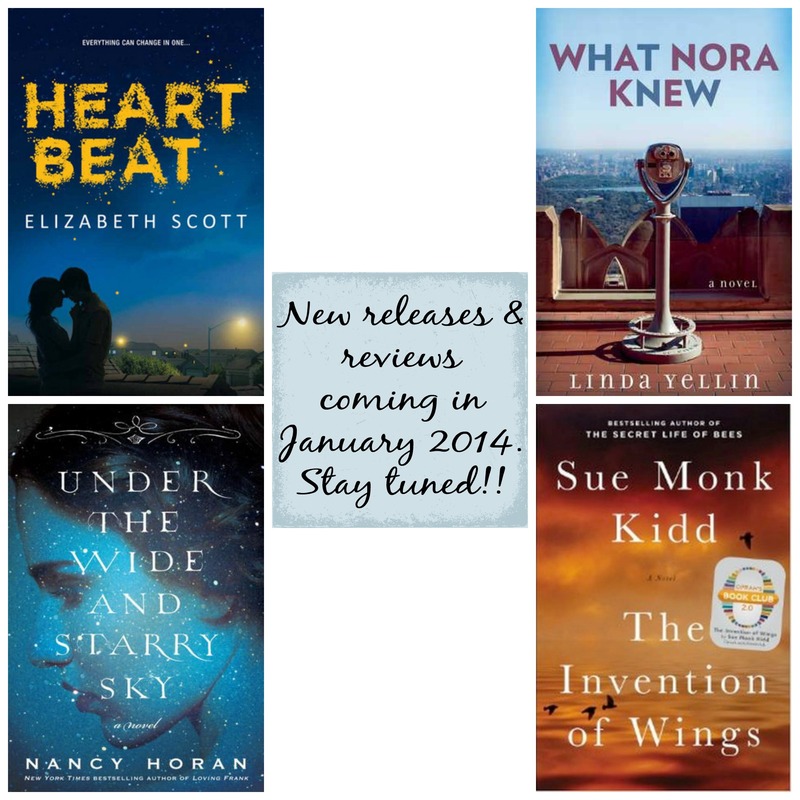 Tags: January 2014 releases, new books. Bookmark the permalink. 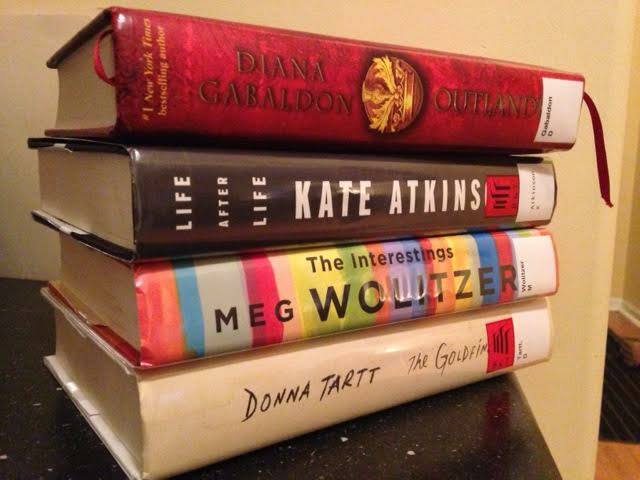 The Outlander Series is one of my all-time favorites! I can’t wait for the next book to come out. Also, Starz is doing a television adaptation; it’ll be interesting to see how that goes. The Goldfinch is next in line for my TBR. I look forward to your reviews!